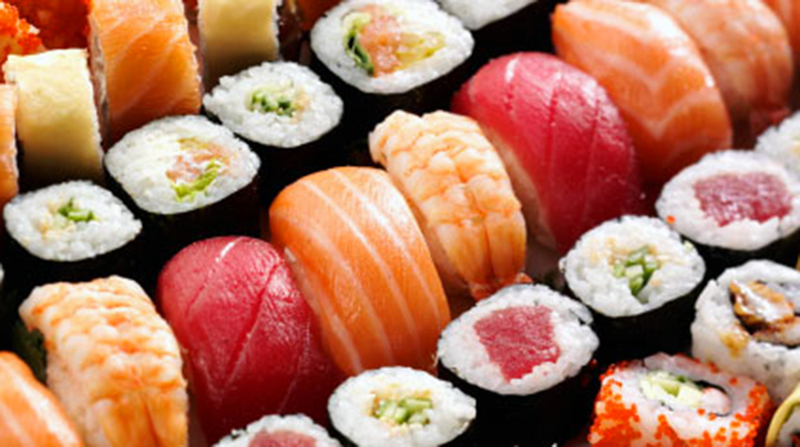 Japanese cuisine, fresh sushi, and a hibachi grill for a great taste of the orient! Fuji is a local favorite of the Bristol community and has been recognized for its outstanding Japanese Cuisine & Sushi, excellent service and friendly staff. Known for it’s modern interpretation of classic Japanese dishes and its insistence on only using high-quality fresh ingredients for dine-in or takeout, Fuji is a must! Enjoy menu items that include miso soup, seaweed salad, sushi bar dinners, Thai cuisine, fried rice, and more! Interested in dinner and a show?! Fuji Japanese Steakhouse even has hibachi made fresh right before your very eyes! Entrees include veggies, chicken, steak, shrimp, scallops, swordfish, salmon, filet mignon, and even lobster tails. An incredible flaming presentation of hibachi artistry by their very own Master Chefs, bringing your dinner to your plate right before your eyes! Watch the Master Chefs move lightening fast with their knife skills, grill up your steak and veggies, and even spring them up in the air. Having a party? Fuji also provides catering services as well, for all of your event catering needs including parties or business dinners. With two packages, samurai package and geisha package, you canâ€™t go wrong! Swing in for entertainment at the Hibachi grill, and for a full array of Japanese culture from drink to food!